Dr Harper trained in Medicine at the University of Bristol Medical School, qualifying in 1995. She then chose to specialise in Anaesthesia with a special interest in Pain Medicine. Her anaesthetic training took place in London and Perth, Australia. She undertook pain training at the Royal Perth Hospital, Australia, the National Hospital for Neurology and Neurosurgery, Queens Square London and The Royal National Orthopaedic Hospital, London. Dr Harper was appointed as a Consultant at Gloucestershire Hospitals NHS Foundation Trust in 2007. 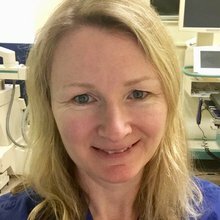 She has an interest in Anaesthesia for Orthopaedic and ENT surgery and in Chronic Pain.